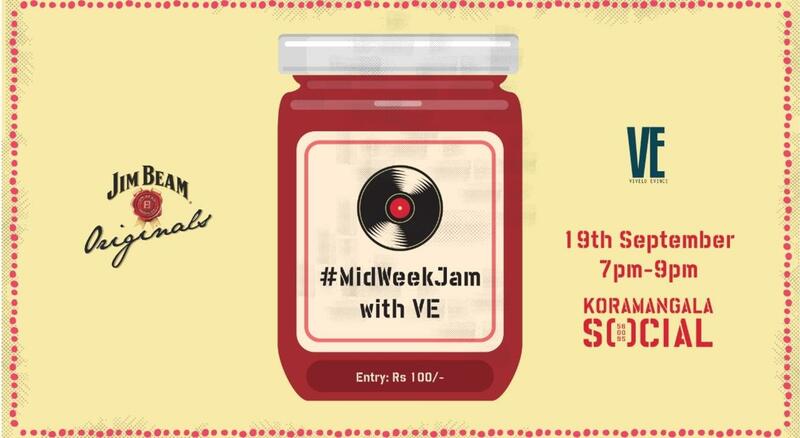 Experience something amazing, with some of VE's finest artists jamming it out and putting an end to your midweek blues! Drop by to watch some killer performances and collaboration that'll make you groove this MidWeek Evening with some impromptu sets at the beautiful terrace of Koramangala Social on 19th Sept, 7pm onwards! Tickets available at the gate as well.